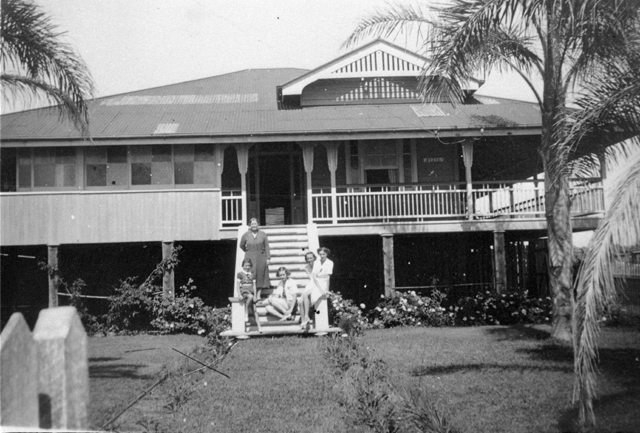 In 1939, R. G. Oates invested in land backing onto Biggera Creek. Situated on the edge of the Broadwater and located just north of Labrador, Biggera Waters takes its name from the Yugambeh word for the red iron bark tree, the Eucalyptus sideroploia. The area shares its name with the creek that runs through the middle of the suburb and exits into the Broadwater at an area known as Lands End. 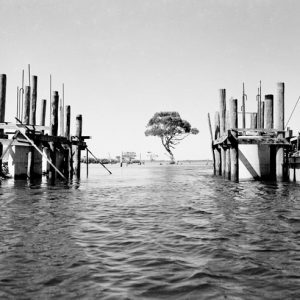 Following the arrival of European settlers in the nineteenth century, Biggera Waters was subdivided with many farming and fishing families making their homes there. Among them was John Siganto with his wife Fanny Elizabeth, early pioneers of the Gold Coast, who built a residence named Finis at Lands End. 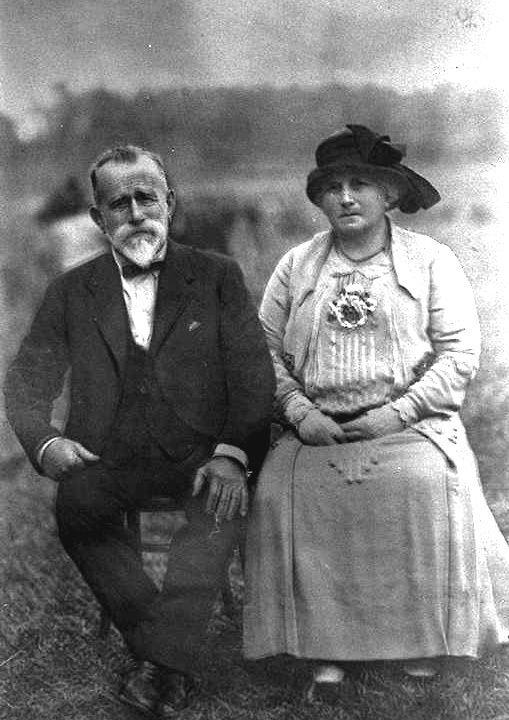 John, originally Joannes, moved from Austria to Australia in 1872 at the age of 22. In 1873 he arrived in Moreton Bay and from there travelled up South East Queensland eventually arriving in Upper Coomera on a cutter he had acquired with James Brady. 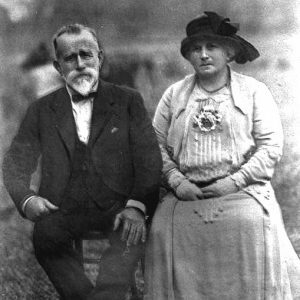 Not long after arriving John met Elizabeth and they were married in 1876. 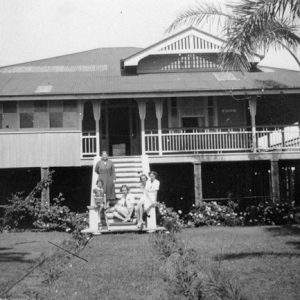 The two were instrumental players in the development of South East Queensland, owning a number of properties and businesses, and it was not until later in life in 1914 when they built Finis as a place of respite. By 1888, there were sufficient new settlers to lobby the Southport Divisional Board to construct a bridge over the Biggera Creek. Within a few years the Divisional Board had called for tenders and J. Burrows was given the task of erecting a bridge. 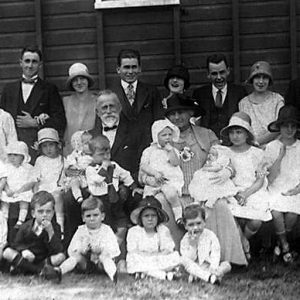 It’s believed the first bridge was built near the eventual site of the Biggera Waters State School. In the 1920s a more permanent bridge was constructed and over time this bridge was replaced with both a vehicular bridge and a pedestrian bridge. 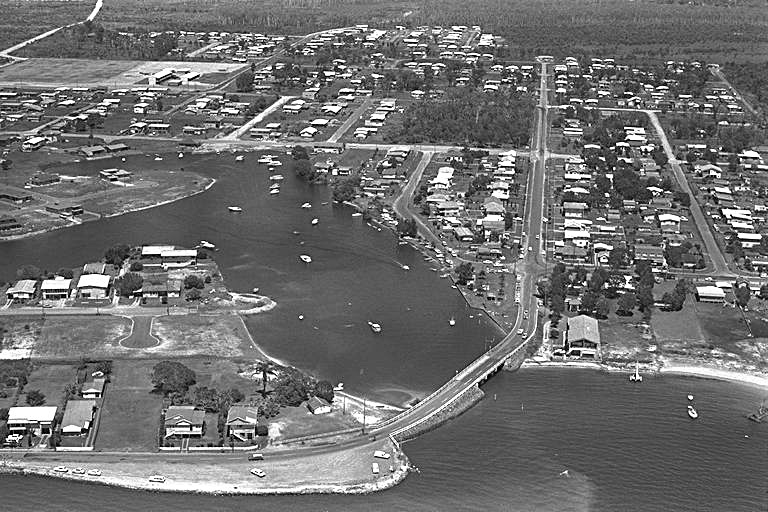 By 1892 a ‘magnificent road the whole way from Biggera Creek to Southport’ was in place along the foreshore of the Broadwater. 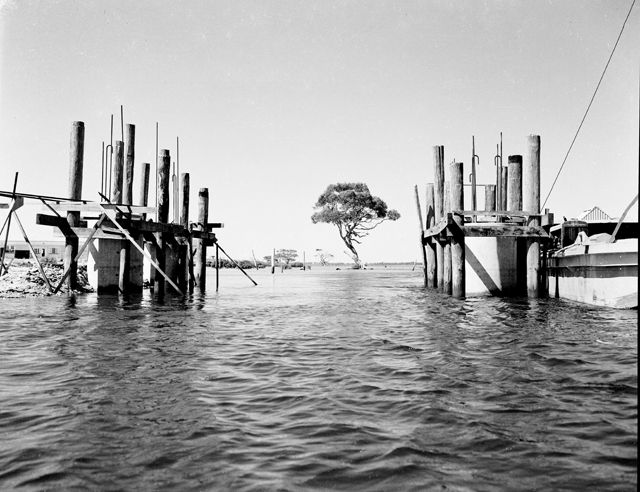 It took a further forty years for a bridge to be built over the mouth of the creek at its easterly exit point into the Broadwater near Finis at Lands End. In 1889 ten acres of school reserve was proclaimed on the north side of the creek on what became the intersection of Coombabah Road and Morala Avenue. The school was not immediately built while discussions took place about how the children of local fishermen and oystermen, from as far away as Stadbroke Island, would reach the school through swampy land. Alternative land at Pine Ridge was considered for a time as it was more accessible for some of the children. 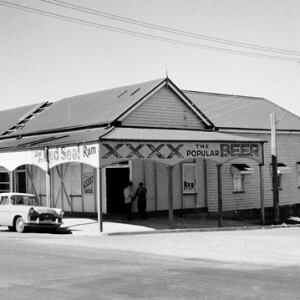 In 1970 the Biggera Waters State School was established on Morala Avenue. 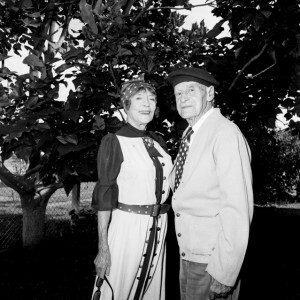 In 1912 the vast Proud Estate, consisting of 625 acres freehold and 547 acres of agricultural land in close proximity to the Biggera Creek, was subdivided and sold following the death of Jonathon Proud. 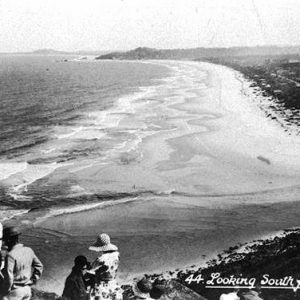 The newly subdivided land offered opportunities for seaside residences or fruit and grazing properties of various sizes. During the 1930s, dredging of Biggera Creek for gold, rutile and other valuable minerals occurred. 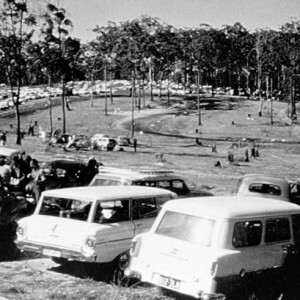 In 1939, R. G. Oates, an early real estate salesman on the Gold Coast, invested in land backing onto Biggera Creek. In 1960 when the bridge was constructed at Lands End, the connection to Labrador opened up the development potential of the northern estate which R. G. Oates named Anglers Paradise. 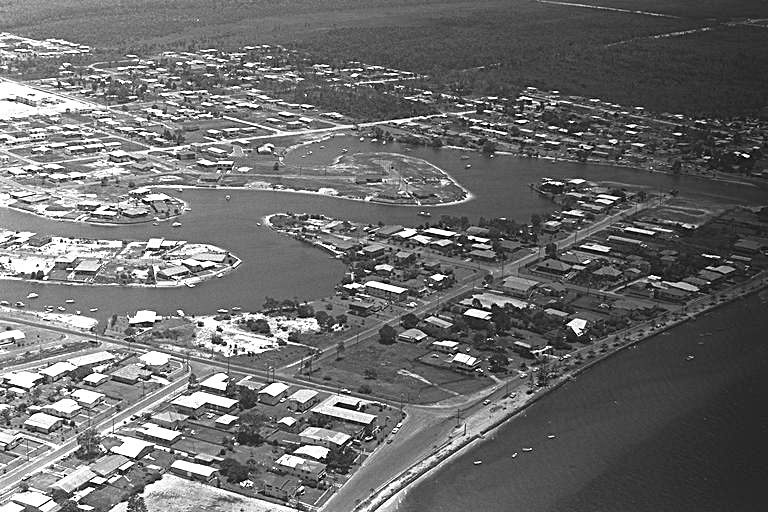 In 1987 Lewis Land Corporation applied to the Local Government to build a central business centre, which would later become Harbour Town. 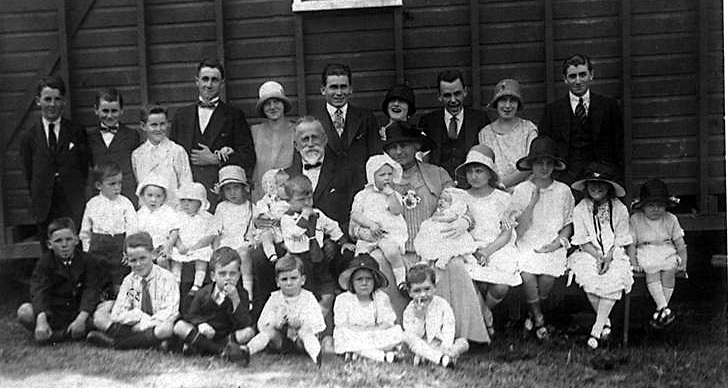 Lewis Land originally planned for the ‘Biggera Waters Town Centre’ to include a retail shopping centre, 500 town houses, a high-tech fun park, a marina, a small industrial pocket, a hotel, a tavern, an office complex, a sports recreation centre, provision for a medical centre and private hospital, and community facilities, including possible libraries and child care services. 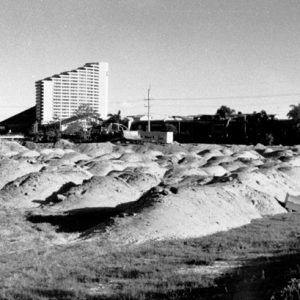 Lewis Land envisioned the centre as a city within a city, self-contained and generating its own population of more than 64000 people. 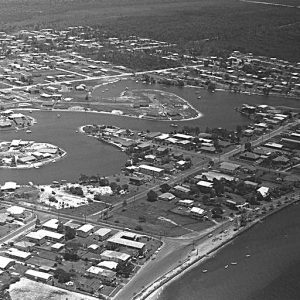 In 1991 after considerable negotiations, the Gold Coast City Council approved plans for Harbour Town, which included an open mall configuration spanning approximately 25 hectares. After nearly a decade of planning, work on Harbour Town began in 1997. The centre was officially opened on 7 December 1999. Upon opening, the centre included Franklines Fresh, Reading Cinemaplex, David Jones, a number of leading international fashion retailers including Nike and Oroton, and a large al-fresco dining precinct. Since opening in 1999, Harbour Town has undergone a number of extensions. In 1997, the Biggera Waters shopping centre, which predated Harbour Town and Runaway Bay shopping centres, underwent a $1 million upgrade which reduced the centres size by 1000 square metres. This reduction in size was undertaken to improve access, increase parking spaces and create a more attractive environment for people who did not like large mega centres. In 1999, with the opening of Harbour Town, the Biggera Waters Shopping Centre faced significant competition. In 2007 Biggera Waters Shopping Centre was renamed Metro Market after a major $2 million refurbishment. The aim of this refurbishment was to create a point of difference between Metro Market and Harbour Town and Runaway Bay shopping centres by bringing a sense of community to Metro Market through small businesses and an attempt to reflect the changing demographics of the area. Watson, F. J. Vocabularies of four representative tribes of South Eastern Queensland. Royal Geographical Society of Australasia. Harbour Town open in time for Christmas (1999, October 6). The Gold Coast Sun, p. 6. Harbour ‘city’ – from grand vision to major compromise (1994, April 22). The Gold Coast Bulletin, p. 9. Harbour Town gets the go-ahead from council (1991, January 26). The Gold Coast Bulletin, p. 15. ‘Final nail’ for centre, say traders (1999, December 1). The Gold Coast Sun, p. 12. Shopping centre reborn (2007, May 25). The Gold Coast Bulletin, p. 93. ‘Sleeping giant’ centre to start (1997, February 5). The Gold Coast Sun, p. 3. Smales, J. The Siganto Story. Buderim, QLD: Firefly Education Pty Ltd, 2014.